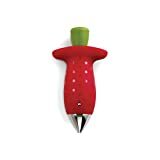 Obscure kitchen gadgets – that’s me! 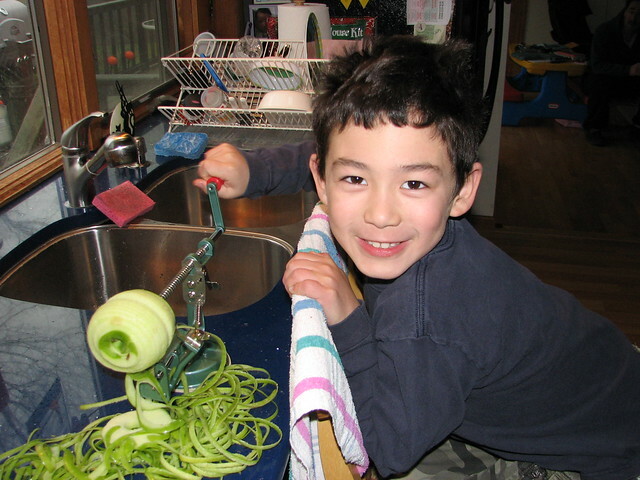 Pots and pans – cook, woman, cook! This little gem works like a charm! 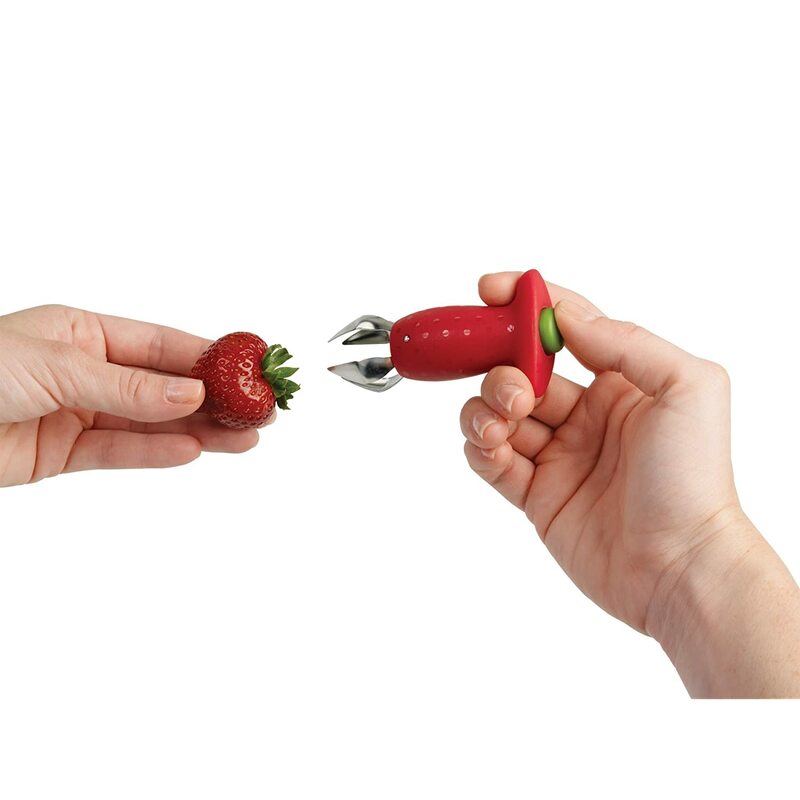 Press the button, insert, twist and a perfectly hulled strawberry emerges. Even 8-year-old Dova can handle it. It will also save my marriage because I always complain that Doug lops off too much of the strawberry when he uses a knife. 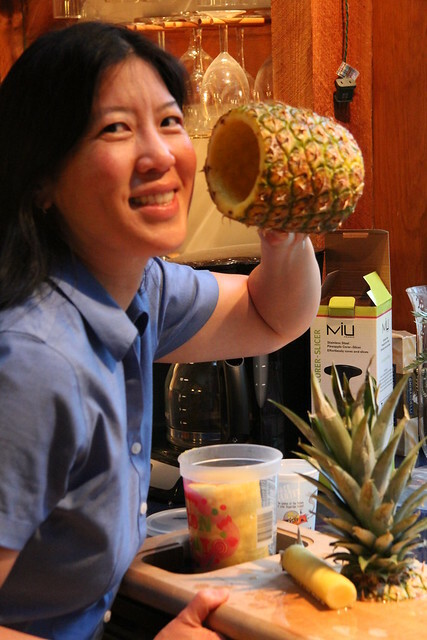 I absolutely love fresh pineapple but hate the huge time sink and mess of cutting one up. 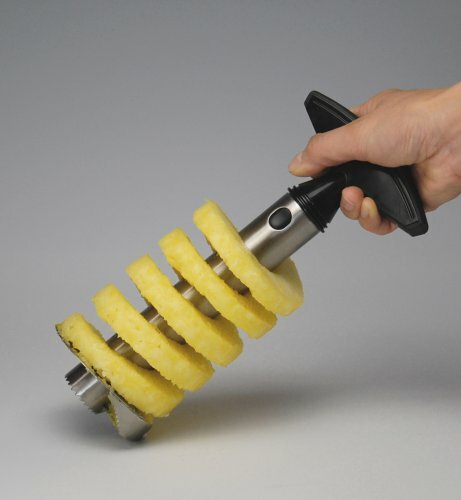 This pineapple slicer and corer took all of 30 seconds to extract the juicy pineapple slices from a fresh pineapple. A co-worker joked that you could use the leftover shell as a huge drinking cup for a tropical themed party. 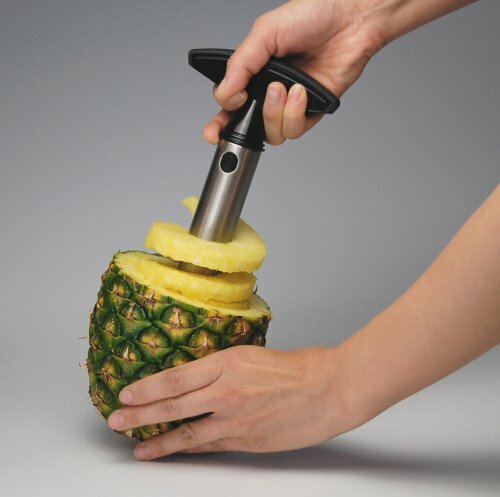 Well, it would work if you didn’t core right through the pineapple like a did the first time. But, we can still pretend. 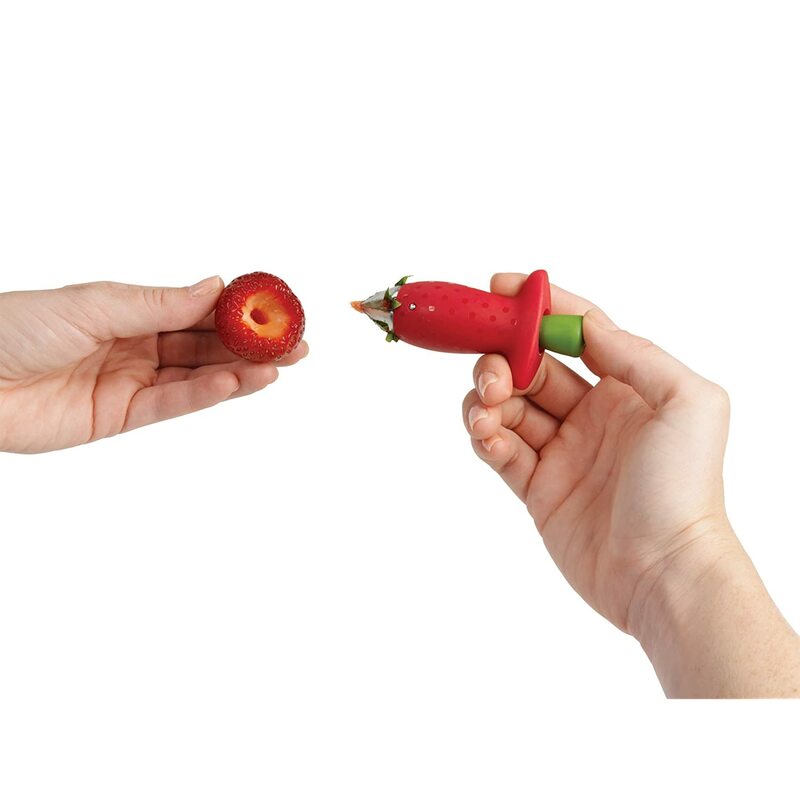 This cherry pitter looks like fun as well as being useful. I can’t wait till cherries come into season. 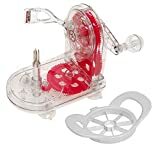 In the past, I’ve actually sliced cherries and pitted them by hand for fruit salads. Now cherries will regularly appear in fruit salads as well as fresh cherry pies! Mmm, pie. I’ve always had issues setting up this contraption because the core has to be lined up exactly or else you have to touch it up afterward. Sometimes the peeling blade cuts too deep, sometimes it misses huge sections. 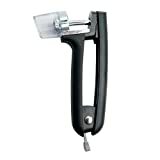 So when I spotted the Starfrit peeler and read the reviews, I jumped on it. I peeled one apple and it came out perfect with far less waste. Can’t wait to make the next apple pie, because you know we love pie around here.